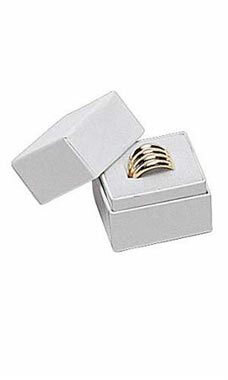 Present your jewelry in our classic white ring boxes. Each box features a white matte finish with a velvet covered die-cut slot for easy insertion. Each box measures 1-1/2" x 1-1/4" x 1-1/2"